I came to Sizewell Hall as an atheist and went home a believer. My medical record shows a stark summary of life in terms of physical health. From aged ten are listed Illnesses, serious injuries and a note “recurrent anxiety and depression”. And my spiritual health record? My early years I was a Catholic, but lapsed then years as an atheist. In 2014 I saw a transformation in my daughter Hannah when she came to faith. I realised what I was missing. My first Alpha course left me suffering a greater loss for life, when I saw other Christians. Arriving at Sizewell Hall with my wife Jo, Hannah and grandchildren for our church House party, I was a doubting atheist. I came to faith on the Sunday at Sizewell Hall having been transformed, suddenly overwhelmed and filled with love for Jesus. That happened during a moving story told as we prepared for Communion. The day is now on my calendar like my birthday. This year at Sizewell we sang Matt Redman’s ‘Never Once’. I thought of that medical record and while I saw “Scars and struggles on the way”, I also knew “Never once did I ever walk alone”. 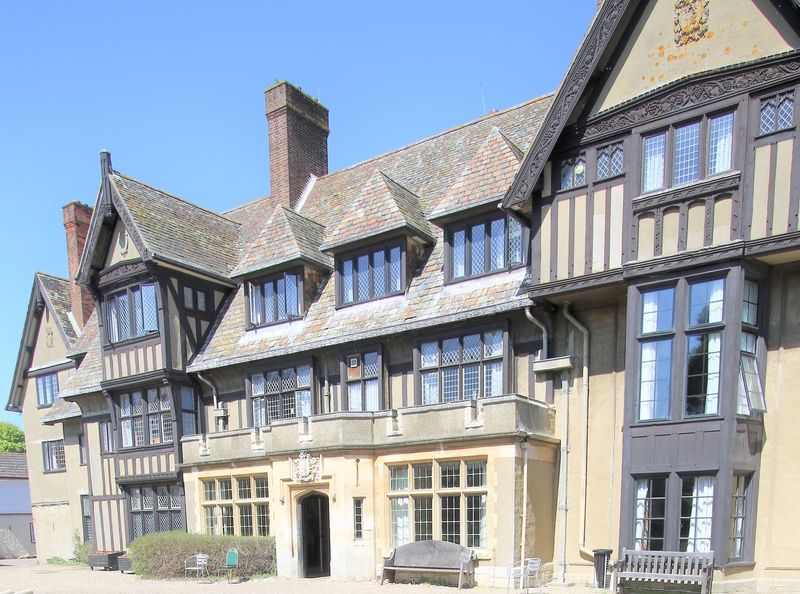 Numerous individuals who come with a group find Sizewell Hall to be a place where they can come away from their everyday lives and hear God speak to them. Their stories are similar to Peter’s. The Trustees desire is to continue to provide an environment in which God’s voice can be heard. Many of our facilities are now looking tired and in need of extensive repair or replacement. Negotiations are underway with the Landlord to extend the lease agreement for another 50 years, enabling the ministry here to continue long into the future. The Trustee’s plan is to see many of these areas transformed over the next 5 years. This plan will start with the urgent work needed to repair our roof. This is the first of a number of projects which are likely to cost us in excess of £1 million overall. Proposed start date for the roof is 1st March 2019 and the length of project is 60 days—due to the restriction of the bat licence. The roof on the hall has been unchanged since the rebuilding in 1922. These slates have survived nearly a century in a brutal environment. Every slate will need to be replaced, there are an estimated 60,000 slates. They will be replaced with TapcoSlate Classic which is almost indistinguishable from natural slate and is manufactured from recyclable virgin limestone and polypropylene. It will be in keeping with those they are replacing. This work will also help keep the building warmer, thus keeping our heating costs down. The Budget is £350,000, this includes full scaffolding, re-leading, wood work, gutters, chimney stack repair and a contingency, also the cost of a licence from Natural England, the cost of Ecologists while work is being carried out because of the resident bats in the roof. We thank God for the £200,000 that we have built up over a number of years, but can you help us towards the £350,000 we need to complete this project alone? Please prayerfully consider making a donation. If you would like to help, please click on this link to make a donation.